Jessi joined our team in 2012 and has been a vital part of Premier ever since! 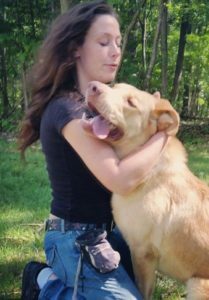 She graduated from The Animal Behavior College and brought with her years of experience through training friend’s dogs as well as her own. She has owned shelter dogs her entire life, and therefore has experience dealing with some of the tougher training issues such as separation anxiety, under-socialization, and working with older dogs with no prior early training. Her wide array of training experience and knowledge filter into her loving bonds she creates between her and the dogs, which is the main reason for her success as a trainer!